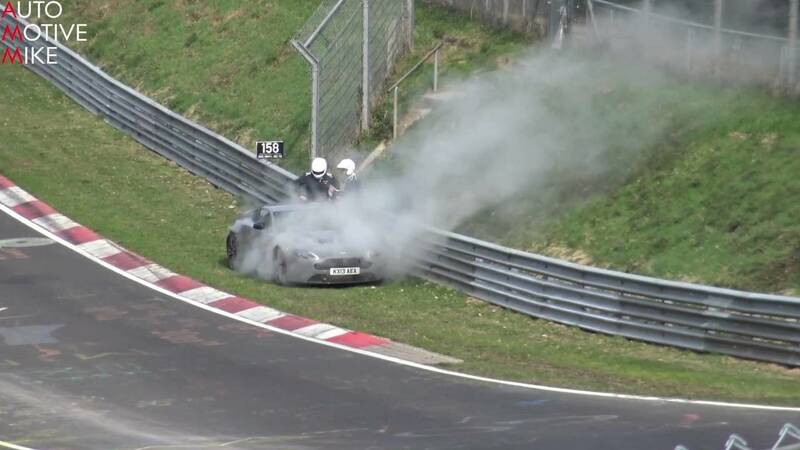 A defective hose is to blame for turning the supercar into a smoke machine. If you're here just to see footage of the aftermath, jump to the 2:13. 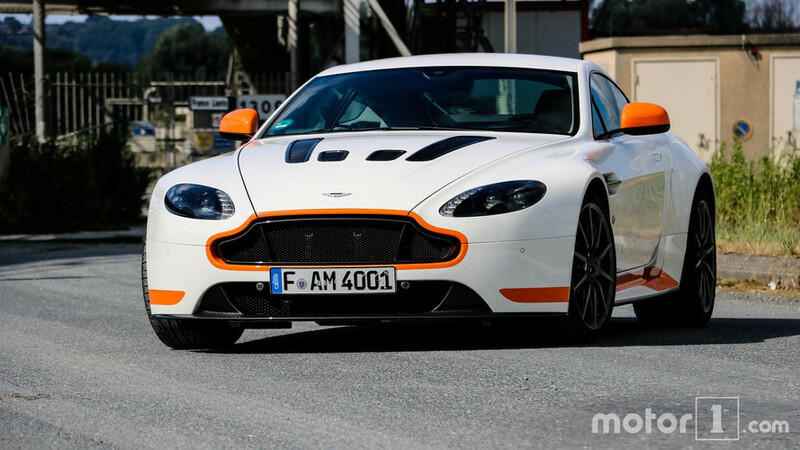 You could say Aston Martin had a pretty bad day at the Nürburgring during the most recent industry pool as the V12 Vantage’s test session came to an abrupt end. According to the cameraman, a coolant fluid hose exploded and apparently it wasn’t a single occurrence as the car had the exact same issue a few times during its intense workout at the Green Hell. Some might ask why was Aston Martin testing the old Vantage considering the new one is already out and about? One possible explanation has to do with the V12 powerhouse lurking underneath that vented hood. Unveiled literally minutes ago, the new Vantage will be available at first only with a 510-horsepower biturbo V8 engine from Mercedes-AMG. Even though the folks from Gaydon are saying the V12 might not fit inside the engine bay, there’s a good chance the larger engine will eventually find its way inside the new Vantage and perhaps that’s what AM was testing during the industry pool. The fact that the malfunction occurred in the engine compartment might be a sign the engineers were trying something new and things didn’t go as planned. While the video is not showing the exact moment when the hose exploded, we can see the car’s body is intact, which means the driver had enough time to pull over on the left side of the track. He got out of the smoking V12 Vantage safe and sound, together with the co-pilot. As for the car, we will likely see it at the ‘Ring once again sooner or later as the technical issue it encountered wasn’t severe. Prototypes breaking down on the Nordschleife aren’t exactly a rare sight since that’s what the tests are for, to iron out all the problems in time for the production model’s launch.